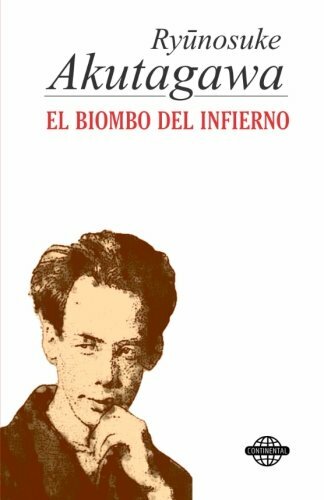 9781502312983 | Createspace Independent Pub, September 8, 2014, cover price $8.90 | About this edition: En el budismo, el Infierno se denomina Naraka, Nirriti y Niraya. 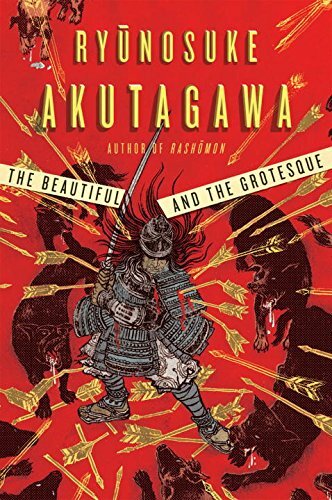 Ryunosuke Akutagawa (1892-1927) fue un escritor japonÃ©s perteneciente a la generaciÃ³n denominada "neo-realista" que surgiÃ³ a finales de la Primera Guerra Mundial; sus obras, en su mayorÃ­a cuentos, reflejan su interÃ©s por la vida del JapÃ³n feudal. 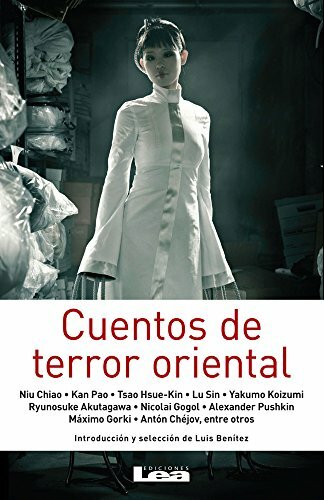 Es uno de los autores mÃ¡s problemÃ¡ticos, inquietantes, versÃ¡tiles y discutidos de nuestro siglo, no sÃ³lo bien conocido en JapÃ³n, sino tambiÃ©n en Occidente, en donde hace ya bastante tiempo que muchas de sus obras han sido traducidas y presentadas al pÃºblico. 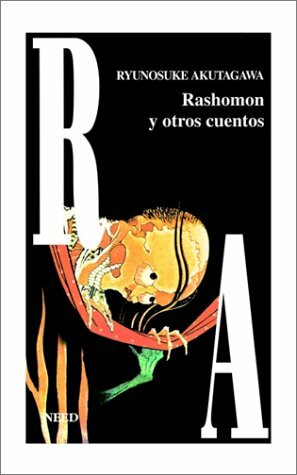 9789875503113 | Longseller S.A., June 30, 2011, cover price $17.95 | About this edition: Ryunosuke Akutagawa (1892-1927) fue un escritor japonÃ©s perteneciente a la generaciÃ³n denominada "neo-realista" que surgiÃ³ a finales de la Primera Guerra Mundial; sus obras, en su mayorÃ­a cuentos, reflejan su interÃ©s por la vida del JapÃ³n feudal. 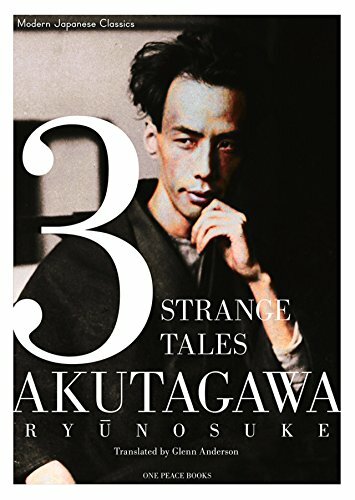 Product Description: 3 Strange Tales presents new translations of this classic Japanese author's most well-known stories: Rashomon; A Christian Death; the never-before-published-in-English story, Agni; and a bonus story, In a Grove. 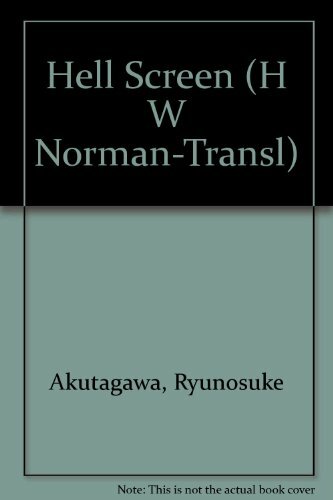 9781935548126 | Scb Distributors, November 15, 2012, cover price $11.95 | About this edition: 3 Strange Tales presents new translations of this classic Japanese author's most well-known stories: Rashomon; A Christian Death; the never-before-published-in-English story, Agni; and a bonus story, In a Grove. 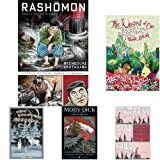 9781479125654 | Createspace Independent Pub, August 15, 2012, cover price $6.95 | About this edition: Writing at the beginning of the twentieth century, Ryunosuke Akutagawa created disturbing stories out of Japan's cultural upheaval. 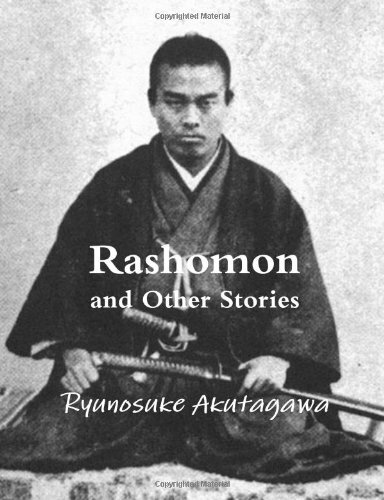 9784805308820, titled "Rashomon: And Other Stories" | Tuttle Pub, November 15, 2007, cover price $14.95 | About this edition: "Clear-eyed glimpses of human behavior in the extremities of poverty, stupidity, greed, vanityâ¦ Story-telling of an unconventional sort, with most of the substance beneath the shining, enameled surface. 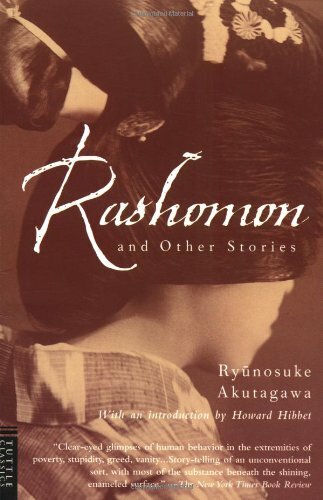 9780871401731, titled "Rashomon: And Other Stories" | Reissue edition (Liveright Pub Corp, December 1, 1999), cover price $13.95 | About this edition: This fascinating collection gave birth to a new paradigm when Akira Kurosawa made famous Akutagawa's disturbing tale of seven people recounting the same incident from shockingly different perspectives. 9780871402141 | Liveright Pub Corp, June 1, 1970, cover price $7.95 | About this edition: Writing at the beginning of the twentieth century, Ryunosuke Akutagawa created disturbing stories out of Japan's cultural upheaval. 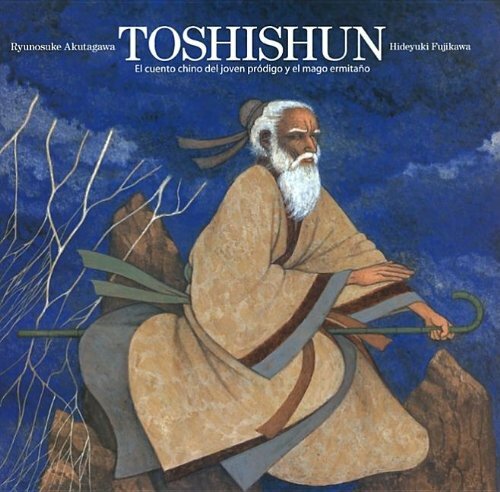 9789876343268 | Italian edition edition (Ediciones Lea, April 4, 2011), cover price $10.95 | About this edition: In the global history of literature, the East has far preceded the West in introducing elements of fantasy into its stories, having ceased to be bound by the prehistoric purpose of narrative as the mere communication of events. 9780837130644 | New edition (Greenwood Pub Group, June 1, 1951), cover price $41.95 | About this edition: In Japanese folklore the Kappa is a scaly, child-sized creature with a face like a tiger and a sharp, pointed beak. 9788493829506 | Azteca Difusora Del Libros S L, November 22, 2010, cover price $15.95 | About this edition: New product. 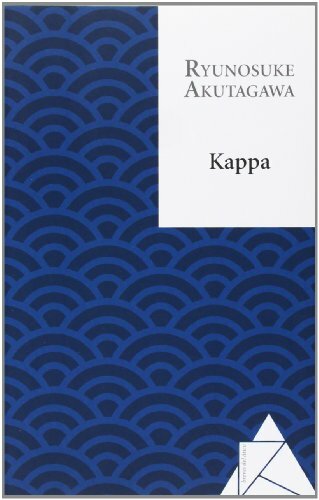 9780804832519 | Tuttle Pub, November 1, 2000, cover price $10.95 | About this edition: From the author of Rashomon comes a Swiftian satire of Japanese society thinly disguised as the fictitious Kappaland. 9780871401922 | Reissue edition (Liveright Pub Corp, July 26, 2010), cover price $14.95 | About this edition: From one of the masters of the short story comes an unforgettable collection of haunting and strange tales. 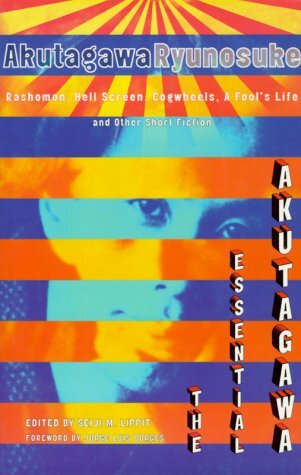 Written by Ryunosuke Akutagawa - one of Japan's foremost stylists and a modernist master whose short stories are marked by imagery, cynicism, beauty, and wild humour. 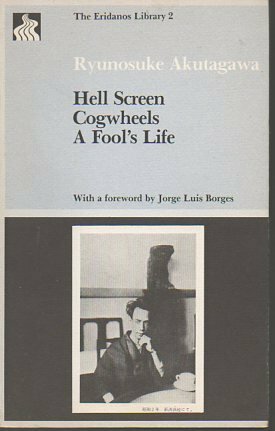 His other works include: 'Rashomon'; 'In a Bamboo Grove'; 'The Nose'; 'O-Gin'; 'Loyalty'; 'Death Register'; 'The Life of a Stupid Man'; and 'Spinning Gears'. 9780140449709 | Italian edition edition (Penguin Classics, March 3, 2009), cover price $16.00 | About this edition: Written by Ryunosuke Akutagawa - one of Japan's foremost stylists and a modernist master whose short stories are marked by imagery, cynicism, beauty, and wild humour. 9780143039846 | Deluxe edition (Penguin Classics, October 31, 2006), cover price $17.00 | About this edition: A stunning deluxe edition of one of Penguin Classics' most popular translationsRyÃ¼nosuke Akutagawa is one of Japan's foremost stylistsâa modernist master whose short stories are marked by highly original imagery, cynicism, beauty and wild humour. 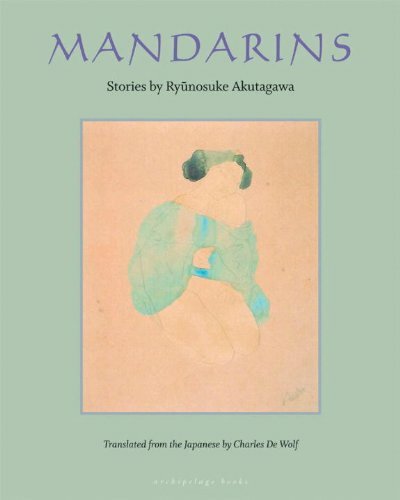 9780977857609, titled "Mandarins: Stories by Ryunosuke Akutagawa" | Archipelago Books, May 1, 2007, cover price $16.00 | About this edition: Prefiguring the vital modernist voices of the Western literary canon, Akutagawa writes with a trenchant psychological precision that exposes the shifting traditions and ironies of early twentieth-century Japan and reveals his own strained connection to it. 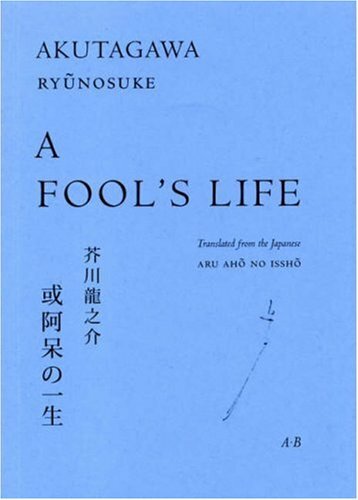 9780804814577 | Tuttle Pub, February 1, 1984, cover price $12.95 | About this edition: Before his tragic death in 1927, Ryunosuke Akutagawa, author of "Rashomon", one of the most renowned stories of Japanese literature, wrote more than 100 short stories. 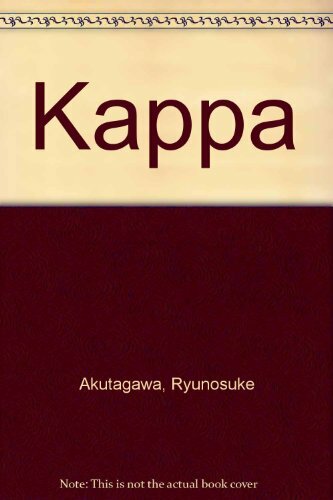 9780804809948 | Tuttle Pub, June 1, 1971, cover price $9.95 | About this edition: In Japanese folklore the Kappa is a scaly, child-sized creature with a face like a tiger and a sharp, pointed beak. 9780837130170 | Reprint edition (Greenwood Pub Group, July 1, 1970), cover price $55.00 | About this edition: "There can be no doubt that [Akutagawa] had more individuality than any other writer of his time and has left in Japanese literature a mass of artistic work, often grotesque and curious, that, while it undoubtedly angers the proletarian experimenters who now hold the stage and fight with lusty pens and a highly developed class consciousness against all that he stood for, will continue to live as long as men go on treasuring the fancies their fellows from time to time set down with care on paper.